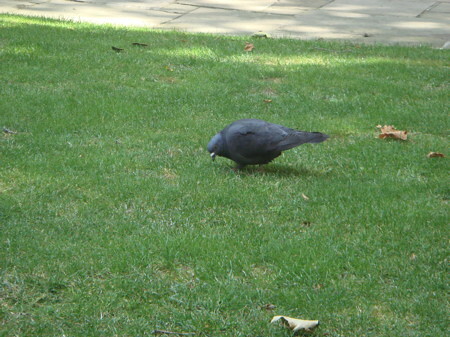 Ok – mental though this sounds, literally, but some scientists are saying that pigeons can make their wings whistle. Wtf? They reckon we’ve developed the technique as an alarm mechanism. 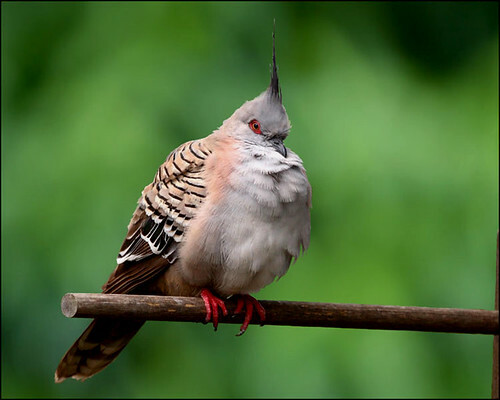 Anyway, turns out they’re talking about the ‘crested’ pigeon. No wonder. Clearly nothing better to do with their time than preen their ridiculously poncy head wear whilst mastering the art of the whistle. Jesus. Only pigeon I ever heard whistle was a pal named Monty, and the only reason he did it was to attract the attention of the ladies. Far as I know, he’s still single. Cheers for sending it, Linda! Clearly lost with no clue whatsoever as to the basics of road safety. Off he went, without a care in the world. 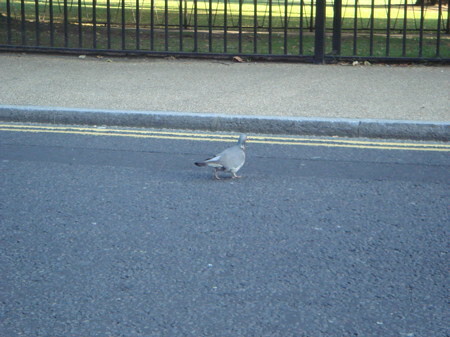 I tried to point out that striding the tarmac like that in London can be a risky business often leading to a right flattening, but he wasn’t having any of it. To be honest, I’m not sure he spoke much English. So here’s a warning to woodies everywhere, if you’re thinking of hitting the Big City, don’t, unless you’ve grasped at least the basics of street management.